Alberta Candidate Nomination Updates: 3 NDP MLAs nominated and another UCP MLA announces retirement. New Democratic Party MLAs nominated: Three New Democratic Party MLAs were chosen as their party’s candidates for the next election at meetings held on May 6 and May 12, 2018. MLA Maria Fitzpatrick was nominated in Lethbridge-East and MLA Christina Gray was nominated in Edmonton-Mill Woods on May 6 and MLA Brian Malkinson was nominated in Calgary-Currie at a meeting on May 12, 2018. Gray currently serves as Minister of Labour and Minister Responsible for Democratic Renewal. 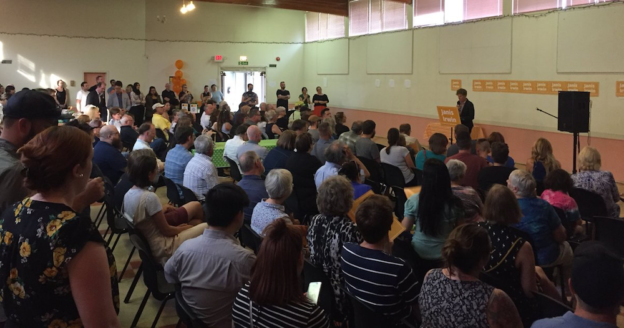 The NDP have scheduled nomination meetings in Calgary-McCall on June 9, 2018 and June 11, 2018 in Lethbridge-West, where NDP MLA Shannon Phillips has already announced her plans to run for re-election. 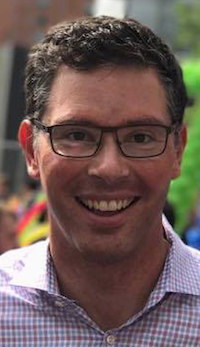 Another UCP MLA retiring from politics: United Conservative Party MLA Wes Taylor announced in a note on his Facebook page that he would not seek re-election in 2019. Taylor is recovering from having recently undergone open heart surgery. The Battle River-Wainwright district he has represented since 2015 will be significantly redistributed in the next election into the redrawn Camrose, Drumheller-Stettler, and Vermilion-Lloydminster-Wainwright districts. Taylor is the fifth UCP MLA to announce he will not seek re-election in 2019 (and the sixth if you include former Wildrose leader Brian Jean, who resigned as MLA for Fort McMurray-Conklin in March 2018). Meanwhile, Fort McMurray-Wood Buffalo MLA Tany Yao is running for the UCP nomination in the district he has represented since 2015. Innisfail-Sylvan Lake by-election: Devin Dreeshen defeated five other candidates to win the as the United Conservative Party nomination to run in the upcoming Innisfail-Sylvan Lake by-election. He is son of Red Deer-Mountain View Member of Parliament Earl Dreeshen. The NDP have scheduled a nomination meeting in that district on May 25, 2018 and are expected to select Nicole Mooney as their candidate. Mooney is an English teacher at St. Joseph’s High School in Red Deer and the Communications and Political Engagement Officer with Alberta Teachers’ Association Local 80. It appears that Reform Party of Alberta leader Randy Thorsteinson has withdrawn his name from the by-election ballot. He declared his candidacy in February 2018. A by-election will be called in Innisfail-Sylvan Lake by August 5, 2018 following the resignation of UCP MLA Don MacIntyre in February 2018 after he was charged with sexual assault and sexual interference. Airdrie-Cochrane – Ian Chitwood and Laura Talsma are seeking the UCP nomination. Chitwood is director of the Alberta Canola Producers Commission. 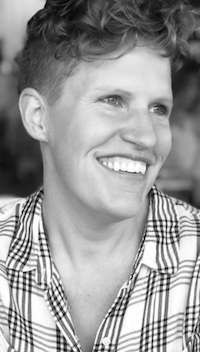 Talsma is a Registered Nurse at the Tom Baker Cancer Centre and Bethany Cochrane Long Term Care facility in Calgary. 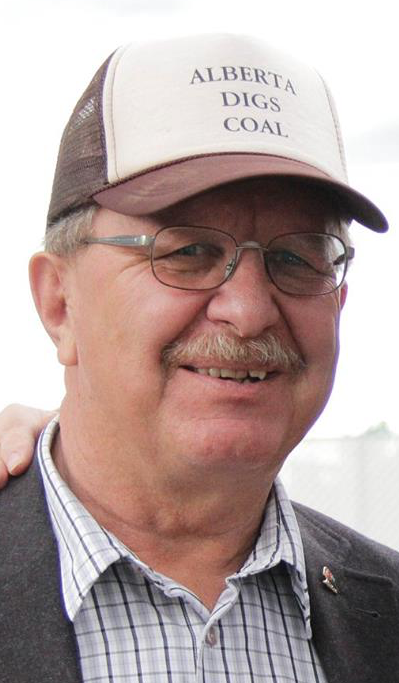 Brooks-Medicine Hat – Jim Black is seeking the Alberta Party nomination. Black ran for the Alberta Party in the Medicine Hat district in the 2015 election, earning 5.7 percent of the vote. Calgary-McCall – Jasraj Singh Hallan is seeking the UCP nomination. Calgary-North – Jun Lin is seeking the UCP nomination. He ran in the 2017 Calgary municipal election in Ward 3, placing third with 25 percent of the vote. Calgary-Varsity – Michael Kim is seeking the UCP nomination. Kim is the president of MKMK Education and MKMK Insurance. Camrose – Dawn Anderson is seeking the UCP nomination. Anderson is the general manager of the Camrose Resort Casino. 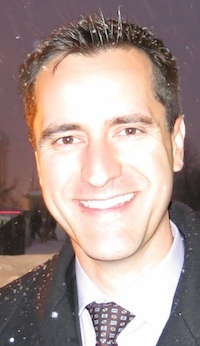 Drumheller-Stettler – Mark Nikota is seeking the Alberta Party nomination. 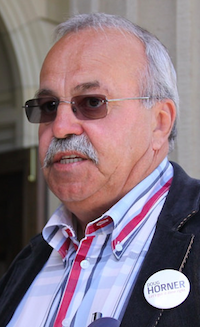 Nikota was Mayor of Hanna from 2010 to 2013 and currently works as the Chief Administrative Officer of the Village of Delia. Edmonton-Beverly-Clareview – David Egan (not to be confused with David Eggen) is seeking the UCP nomination. He is listed as the Chief Financial Officer of the UCP association in the neighbouring Edmonton-Manning district. Edmonton-Castle Downs – Gordon Reekie and Ed Ammar are seeking the UCP nomination. Both candidates are Real Estate agents. 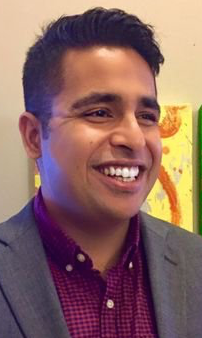 Ammar served as chair of the UCP interim board until the recent founding convention and was Liberal Party candidate in the neighbouring Edmonton-Decore district in the 2012 election. Edmonton-Glenora – Immigration consultant Marjorie Newman is seeking the UCP nomination. Carla Stolte is seeking the Alberta Party nomination. Edmonton-Manning – Jitender Sahni is seeking the Alberta Party nomination. Edmonton-Meadows – Joel Mullan is seeking the UCP nomination. Edmonton-North West – Ali Eltayeb is seeking the UCP nomination. He is the owner and manager of Liberty Tax franchises in Edmonton. Edmonton-Rutherford – Aisha Rauf is seeking the Alberta Party nomination. She is an instructor and according to her website biography is waiting for her PhD Linguistics thesis defence. She was interviewed in a September 2017 episode of the Broadcast. Edmonton-South – Dan Johnstone, known to some by his nickname “Can Man Dan,” is seeking the Alberta Party nomination. Johnston was a candidate for Edmonton City Council in Ward 10 in the 2013 election, placing fourth with 4.9 percent of the vote. He more recently ran in the 2016 by-election for Edmonton City Council’s Ward 12 where he finished with 3.2 percent of the vote. Edmonton-West Henday – Winston Leung is seeking the Alberta Party nomination. Lesser Slave Lake – Garrett Tomlinson is seeking the UCP nomination. Tomlinson served as a councillor in Northern Sunrise County from 2013 to 2017 and country reeve from 2014 to 2017. He is listed online as a communications coordinator for the Lubicon Lake First Nation. Livingstone-Macleod – Justin Murphy is seeking the UCP nomination. He was a candidate for High River town council in the 2017 municipal election. Morinville-St. Albert: Joe Gosselin is seeking the UCP nomination. Gosselin is a former Morinville town councillor and was the Wildrose Party candidate in Fort Saskatchewan-Vegreville in the 2015 election. He originally sought the Wildrose nomination in Barrhead-Morinville-Westlock ahead of the last election but was defeated by Glenn van Dijken. 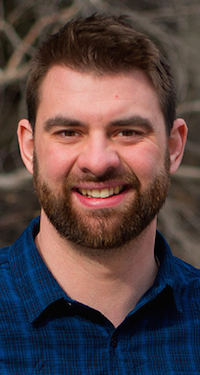 Red Deer-South – Ryan Mcdougal is seeking the Alberta Party nomination. 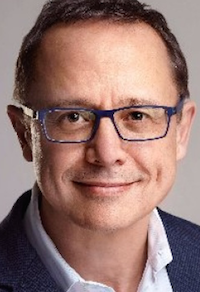 West Yellowhead – Martin Long is seeking the UCP nomination. 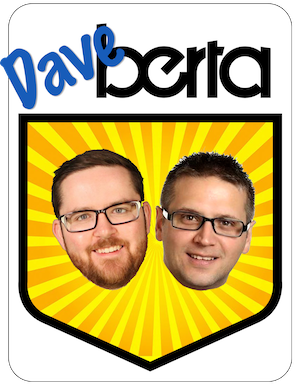 Listen to the latest episode of the Daveberta Podcast to hear Dave and Ryan talk about some of the latest nomination news, including tips and advice for candidates fundraising for the next election. This entry was posted in Alberta Politics and tagged Airdrie-Cochrane, Aisha Rauf, Alberta Election 2019, Alberta Election Candidate Nominations, Alberta NDP, Alberta Party, Alberta Teachers' Association, Ali Eltayeb, Battle River-Wainwright, Brian Jean, Brian Malkinson, Brooks-Medicine Hat, Calgary-Currie, Calgary-McCall, Calgary-North, Calgary-Varsity, Camrose, Christina Gray, Dan Johnstone, David Egan, David Eggen, Dawn Anderson, Devin Dreeshen, Don MacIntyre, Drumheller-Stettler, Earl Dreeshen, Ed Ammar, Edmonton-Beverly-Clareview, Edmonton-Castle Downs, Edmonton-Glenora, Edmonton-Manning, Edmonton-Meadows, Edmonton-Mill Woods, Edmonton-North West, Edmonton-Rutherford, Edmonton-South, Edmonton-West Henday, Fort McMurray-Conklin, Fort McMurray-Wood Buffalo, Garrett Tomlinson, Glenn van Dijken, Gordon Reekie, Ian Chitwood, Innisfail-Sylvan Lake, Innisfail-Sylvan Lake by-election, Jasraj Singh Hallan, Jim Black, Jitender Sahni, Joe Gosselin, Joel Mullan, Jun Lin, Justin Murphy, Laura Talsma, Lesser Slave Lake, Lethbridge-East, Lethbridge-West, Livingstone-Macleod, Maria Fitzpatrick, Marjorie Newman, Mark Nikota, Martin Long, Michael Kim, Morinville-St. Albert, Nicole Mooney, Randy Thorsteinson, Red Deer-South, Reform Party of Alberta, Ryan Mcdougal, Shannon Phillips, Tany Yao, United Conservative Party, Vermilion-Lloydminster-Wainwright, Wes Taylor, West Yellowhead, Winston Leung on May 15, 2018 by Dave Cournoyer. Labour Minister Christina Gray , who is responsible for the Alberta NDP government’s democratic renewal initiatives, introduced Bill 32: An Act to Strengthen and Protect Democracy in Alberta into the Legislative Assembly on December 4, 2017. The bill pulls ‘Political Action Committees’ under the Election Finances and Contribution Disclosure Act by expanding the activities covered in the Third Party Advertisers section beyond just advertising. If passed, the law would now cover typical PAC activities, such as selling memberships, fundraising, collecting or compiling information about voters, and other administrative activity for a party, candidate, leadership contestant or nomination contestant. The bill would limit individual PAC spending to $150,000 on political activities in the three months ahead of Alberta’s fixed election period and to $150,000 during the election period. Only $3,000 of the $150,000 would be able to be used to promote or oppose the election of one or more candidates in any one electoral district. 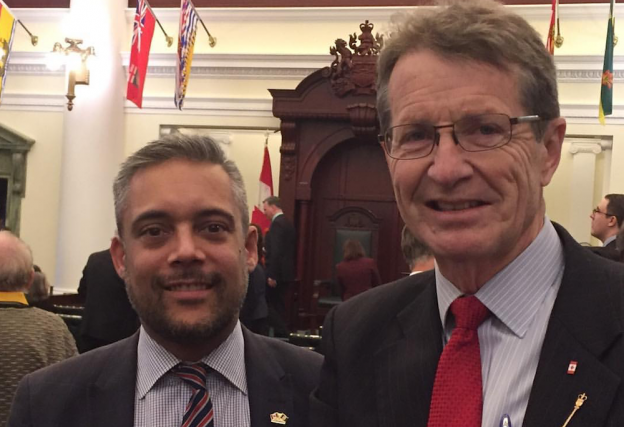 The bill falls short of limiting annual donations to PACs and banning corporate, union and out-of-province donations, which a private members’ bill introduced by Liberal MLA David Swann and championed by leader David Khan proposed to do. “Simply put, our bill is a better bill and will do a better job of getting dark money out of politics,” Khan said in a press release responding to Bill 32. As an expanded list of PAC-type activities now fall under the province’s election finance laws governing third party advertisers, it is my understanding that all donations to registered PACs will be disclosed to Elections Alberta, eliminating the ‘dark money‘ element of PACs in Alberta. Bill 32 also makes a number of amendments to the Election Act, including the ability of Elections Alberta to collect information of 16 and 17-year-olds in order to automatically register them to vote when they turn 18, extend advance voting by one day, and improve mobile voting stations. 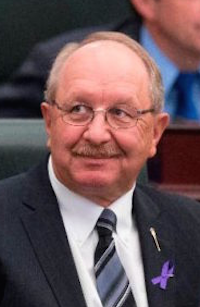 Gray’s Bill 32 also incorporates some changes around government advertising during election periods that were included in a private members’ bill introduced by Drumheller-Stettler UCP MLA Rick Strankman in 2015. Then a Wildrose MLA, Strankman’s Bill 203: Election (Restrictions on Government Advertising) Amendment Act was referred to the Select Special Ethics and Accountability Committee in November 2015, but was never formally dealt with before the dysfunctional committee disbanded in September 2016. With only three days remaining in the Legislative session, it is expected this bill will pass third-reading before MLA’s break for the holiday season on Thursday, December 7, 2017. We have heard a lot of talk but have not seen much activity in the Alberta Party leadership race since current leader Greg Clark announced he would step down 25 days ago. The party released the rules of its leadership race on December 4 and, perhaps realizing the clock is ticking, moved the date of the leadership vote from February 7 to February 27. Ron Dunseith will serve as Chief Returning Officer for the Alberta Party’s 2018 leadership race. 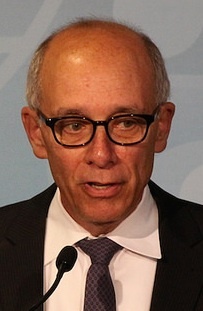 Dunseith served as President of the Progressive Conservative Association of Alberta from 1999 to 2002 and the Chief Returning Officer for the party’s 2017 leadership campaign. He also served as campaign co-chairman of Dave Hancock‘s campaign during the PC Party’s 2006 leadership election. This entry was posted in Alberta Politics and tagged Alberta Liberal Party, Alberta NDP, Alberta Party, Alberta Party Leadership Race 2018, Bill 203: Election (Restrictions on Government Advertising) Amendment Act, Bill 214: An Act to Regulate Political Action Committees, Christina Gray, Dark Money, Dave Hancock, David Khan, David Swann, Election Act, Election Finances and Contribution Disclosure Act, Greg Clark, Political Action Committees, Ron Dunseith, Select Special Ethics and Accountability Committee, United Conservative Party on December 5, 2017 by Dave Cournoyer. Political Action Committees will be back up for debate before MLAs depart Edmonton for the Christmas break at the end of next week. Last week, Calgary-Mountain View Liberal MLA David Swann tabled Bill 214: An Act to Regulate Political Action Committees in the Alberta’s Legislative Assembly. The private members’ bill would amend the Election Finances and Contributions Disclosure Act to create a legal definition for PACs, require PACs to be registered with Elections Alberta and subject them to the same financial disclosure and contribution rules as other political entities. The bill would also ban corporate, union and out-of-province donations, and prohibit political entities from donating to PACs. Khan made PACs one of his top issues after winning the party leadership in June 2017. He is currently running as a candidate in the December 4, 2017 by-election in Calgary-Lougheed. PACs have become a big issue in Alberta politics since 2015, when the New Democratic Party government banned corporate and union donations to political parties as their first piece of legislation. While that action was needed and widely praised, it unintentionally opened the floodgates for now banned political party donations to be poured into PACs. Like flowing water, political money will find the path of least resistance. It did not take long before wealthy donors, now unable to fund political parties, began pouring funds into unregulated PACs, which with the exception of advertising activities, fall outside of Alberta’s political finance laws. The most notable PAC created since the NDP banned corporate political party donations was Jason Kenney‘s Unite Alberta PAC, which supported his campaign for the leadership of the Progressive Conservative Party and the United Conservative Party. And under the bill, a PAC must apply for registration with Elections Alberta when it has incurred expenses of $1000 or plans to incur political action expenses of at least $1000, or when it has accepted contributions of $1000 or plans to accept contributions of at least $1000. The Order Paper for Monday, December 4, 2017 shows that Labour Minister Christina Gray, who is also responsible for democratic reform, is scheduled to introduce Bill 32: An Act to Strengthen and Protect Democracy in Alberta for first reading. Gray has said the government would introduce legislation regulating PACs, and if this bill does that, it will likely remove Swann’s bill off the Order Paper because of its similar focus. We will have to wait until Gray’s Bill 32 is tabled before we know what action the NDP government plans to take, but even if their bill is removed from the order papers, Swann and Khan deserve the credit for making unregulated and unaccountable Political Action Committees an issue in Alberta politics. This entry was posted in Alberta Politics and tagged Alberta Liberal Party, Alberta NDP, Bill 214: An Act to Regulate Political Action Committees, Bill 32: An Act to Strengthen and Protect Democracy in Alberta, Calgary-Lougheed by-election, Calgary-Mountain View, Christina Gray, David Khan, David Swann, Election Finances and Contributions Disclosure Act, Jason Kenney, Unite Alberta, United Conservative Party on December 2, 2017 by Dave Cournoyer. Elections Alberta released the financial disclosures showing the results of political party fundraising in the second quarter of 2017. Combined party and constituency fundraising results show the governing New Democratic Party in the lead in for the second consecutive quarter of 2017, having fundraised $553,733 between April 1, 2017 and June 30, 2017, a jump from $373,060 raised by the NDP in the first quarter of 2017. The Wildrose Party raised $511,704, up from $345,125 in the first quarter, and the Progressive Conservatives raised $86,818, a steep drop from the $226,572 raised in the first four months of 2017. The the Alberta Party raised only $38,124.51 and the Liberal Party raised $33,845.93 in the same period. The NDP have raised a combined total of $926,793 in the first two quarter of 2017, while the Wildrose raised $852,689 and the PCs raised $313,791. This is the second fundraising quarter to fall under new political finance laws introduced by Democratic Renewal Minister Christina Gray in 2016, which lowered the maximum annual donation limits from $15,000 to $4,000. This followed reforms introduced by the NDP in 2015 that banned corporate and union donations to political parties and candidates. This entry was posted in Alberta Politics and tagged Alberta Liberal Party, Alberta NDP, Alberta Party, Alberta PC Party, Alberta Political Party Fundraising, Christina Gray, Elections Alberta Financial Disclosures, First Quarter Financial Disclosure, Money and Politics, Wildrose Party on July 20, 2017 by Dave Cournoyer. Labour Minister Christina Gray introduced Bill 17, the Fair and Family-friendly Workplaces Act, into the Legislative Assembly today. This bill includes long-awaited reforms to modernize Alberta’s Labour Code and Employment Standards Code. Some parts of Alberta’s labour laws have remained untouched since the 1970s. The 249-page bill includes a wide-range of amendments from improving maternity leave and compassionate care leave to extending parental leave from 37 weeks to 52 weeks to guaranteeing job protection for new unpaid leaves to simplifying union certification and decertification processes. Well-respected labour lawyer Andrew Sims, who was hired by the government to work on the reforms, described the changes in Bill 17 as moderate and middle of the road. “This is not a cutting-edge, lead-the-country reform,” Sims told reporters. “It is in most respects a bring-the-best-experiences-from-elsewhere to Alberta.” This would appear to fit with the New Democratic Party‘s shift in adopting more centrist policies ahead of the next provincial election. While the bill does not include changes some trade unions were advocating for, including banning “double breasting” and replacement workers during strikes, it does include some meaningful changes. During her time as an opposition MLA, Premier Rachel Notley was a vocal advocate for first contract arbitration, which is included in the bill. First contract arbitration allows employers and unions to access dispute resolution methods under the Labour Relations Code that could avoid lengthy lock-outs or job action if negotiations for a first contract at newly unionized worksites are unsuccessful. On the issue of card-check, which I briefly discussed yesterday, changes in Bill 17 require a secret ballot vote to take place at a job site where between 40 and 65 percent of workers have signed up to join a union. If more than 65 percent of workers have signed up, then a vote is not required. You would think that a bill allowing workplace leave for parents looking after kids with long-term illness, leave for women suffering from domestic violence, and striking a provision that allowed persons with disabilities to be paid less than minimum wage would garner support from all sides of the Legislative Assembly. You would think. But before debate on Bill 17 could even begin, Wildrose and Progressive Conservative MLAs, now essentially operating as the United Conservative Party caucus, voted against first reading of the bill. It is very unusual for MLAs to vote against a bill in first reading, as a vote in favour of first reading is needed to allow for debate on a bill to begin. In fact, a vote in favour of first reading is needed before MLAs and the public even get a chance to read the bill. It is hard to describe their behaviour as anything but foolish partisanship. Wildrose and PC MLAs have made it clear they are unwilling to work with the NDP on many issues, but at a bare minimum they should be able to offer alternatives and meaningfully contribute to a debate. But perhaps this is not surprising when you consider some of the last significant pieces of labour legislation passed by a Conservative government in Alberta. In 2015, Jim Prentice‘s government repealed a law passed in 2013 that would have levelled fines of $500 and a prosecution within one year for any “person” who suggested that public sector employees strike or threaten to strike. The 2013 law was undemocratic and very likely unconstitutional. At first glance, the NDP bill appears to bring some semblance of balance into labour law in Alberta while modernizing some workplace protections that are fairly standard in most other Canadian provinces. This entry was posted in Alberta Politics and tagged Alberta Employment Standards Code, Alberta Labour Relations Code, Alberta NDP, Alberta PC Party, Andrew Sims, Bill 17: The Fair and Family-friendly Workplaces Act, Card-Check, Christina Gray, David Swann, First Contract Arbitration, Greg Clark, Rachel Notley, United Conservative Party, Wildrose Party on May 25, 2017 by Dave Cournoyer. No, reforming Alberta’s Labour Laws will not kill democracy. It won’t come as a surprise to many political watchers in Alberta that the most vocal critics of the NDP government’s yet to be announced reforms to Alberta’s outdated labour laws have strong ties to the province’s Conservative establishment. “Keep Alberta Working” is a campaign of the “Alberta Growth Initiative,” which is a coalition of the Alberta Hotel and Lodging Association, the Canadian Meat Council, Restaurants Canada and the Alberta Enterprise Group. 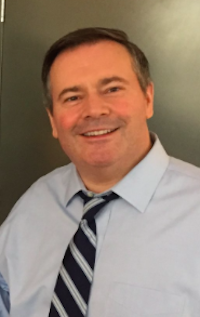 Unsurprisingly, the campaign has ties to Conservative lobbyists connected with United Conservative Party leadership candidate Jason Kenney. According to publicly available information on the province’s Lobbyist Registry, New West Public Affairs, a company run by former Conservative Member of Parliament Monte Solberg, is the registered lobbyist for the Alberta Growth Initiative group. Solberg served alongside Kenney as a Reform and Canadian Alliance MP, and later in Prime Minster Stephen Harper‘s cabinet. The media contact person listed on the press release announcing the “Keep Alberta Working” campaign is New West employee Sonia Kont, who is also president of the Progressive Conservative youth-wing and an ardent Kenney supporter. Also thrown into the mix is prolific tweeter Blaise Boehmer, who worked for Solberg’s company as a senior associate until leaving in 2016 to become Communications Director on Kenney’s leadership campaign. 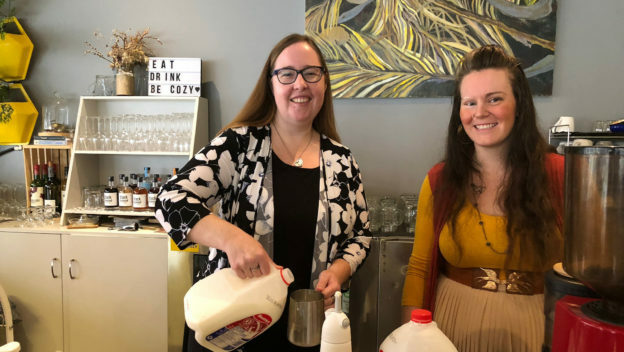 The Keep Alberta Working campaign has been harshly critical of the NDP government’s plans to reform Alberta’s labour laws, some of which have remained untouched since the 1970s. The group was fair to criticize the relatively short consultation period the NDP government allowed for when preparing the reforms, but its claims that the NDP could destroy democracy by introducing a card-check system for union organizing are totally preposterous. We won’t know what is included in the reforms until Bill 17, the Fair and Family-friendly Workplaces Act, is introduced into the Legislative Assembly by Labour Minister Christina Gray tomorrow. Depending on how it could be structured, a card-check system could make it harder for anti-union employers to block their employees from joining a union. Looking to the debate ahead, the card-check issue could cause more political trouble for the NDP than they expect. As the NDP know from past experience as a tiny scrappy opposition party, it is much easier for the opposition to cast a government as heavy-handed and undemocratic than it is for a government to explain detailed public policy in a 15 second soundbite. But there is little evidence that any reforms to Alberta’s labour laws will lead employees of the companies represented by these groups to stampede into the closest union recruitment office. It’s not really surprising that key Conservative politicos are at, or close to, the centre of a campaign to oppose reforms to Alberta’s outdated labour laws, but the connections to Kenney and his leadership bid are worth noting. So, when you hear this group’s criticism of the NDP’s labour law reforms tomorrow, consider the source. Also remember that while the changes might be described as catastrophic or disastrous by corporate-funded lobby groups, the changes included in Bill 17 might not be dramatic enough for some traditional NDP supporters on the political left. This entry was posted in Alberta Politics and tagged Alberta Employment Standards Code, Alberta Enterprise Group, Alberta Hotel and Lodging Association, Alberta Labour Relations Code, Alberta NDP, Bill 17: The Fair and Family-friendly Workplaces Act, Blaise Boehmer, Canadian Meat Council, Christina Gray, Jason Kenney, Labour law reforms, Monte Solberg, New West Public Affairs, Restaurants Canada, Sonia Kont, Stephen Harper, United Conservative Party on May 23, 2017 by Dave Cournoyer. Elections Alberta released the financial disclosures showing the results of political party fundraising in the first quarter of 2017. Combined party and constituency fundraising results show the governing New Democratic Party in the lead in early 2017, having fundraised $373,060.23 between January 1 and March 31, 2017. The Wildrose Party raised $345,125.06 and the Progressive Conservatives raised $226,572.21 in the same period. The Liberal Party raised $47,959.83 and the Alberta Party raised only $14,070.49. 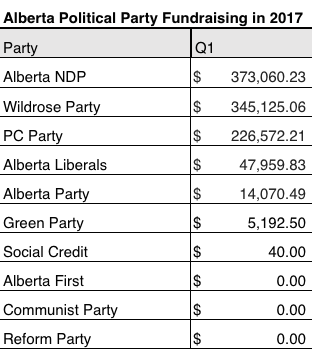 These totals are considerably less than what was raised by the governing and official opposition parties in the fourth quarter of 2016, when the NDP raised $1,985,272.00 and the Wildrose raised $2,063,737.63. Similar to previous years, political fundraising in the first quarter of the year is typically lower than the previous year’s final quarter. 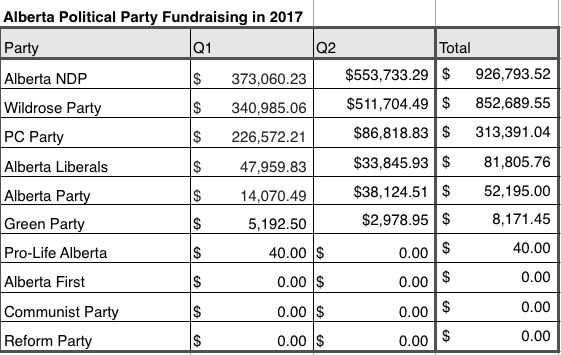 Both the NDP and Wildrose Party fundraised less in this quarter than in the first quarter of 2016, when the NDP raised $398,843.71 and Wildrose raised $448,912.71. The PCs raised more than twice in this quarter than the $105,436.47 the party raised in the first quarter of 2016. This is the first fundraising quarter to fall under new political finance laws introduced by Democratic Renewal Minister Christina Gray in 2016, which lowered the maximum annual donation limits from $15,000 to $4,000. This followed reforms introduced by the NDP in 2015 that banned corporate and union donations to political parties and candidates. This entry was posted in Alberta Politics and tagged Alberta Liberal Party, Alberta NDP, Alberta Party, Alberta PC Party, Alberta Political Party Fundraising, Christina Gray, Elections Alberta Financial Disclosures, First Quarter Financial Disclosure, Money and Politics, Wildrose Party on April 20, 2017 by Dave Cournoyer. Despite its past reputation, Alberta politics has become extraordinarily unpredictable over the past decade. This makes forecasting the future a very tricky business for political pundits. As is tradition on this blog, each December I sit down by the open fire and pen a list of Alberta MLAs that I will be watching closely in the new year. Beyond the obvious choices, like Premier Rachel Notley or Finance Minister Joe Ceci, I try to look into the government and opposition benches to see who could make the news next year. Shannon Phillips (Lethbridge-West): The implementation of Alberta’s much lauded and much derided Climate Leadership Plan will be central to the government’s agenda in 2017. Navigating attacks against the incoming carbon tax, which led to the approval of two oil pipelines, will be critical to the success of the plan. Environment and Parks Minister Shannon Phillips will also have to navigate the politics of replacing Alberta’s dirty coal fired power plants with renewable electricity generation, which could include potentially controversial hydro electric dam projects in northern Alberta. Sarah Hoffman (Edmonton-Glenora): Now as Alberta’s Deputy Premier, Sarah Hoffman continues to prove that she is one of the toughest MLAs in the government benches. She has managed to navigate her role as Health Minister, a large and challenging department, and continue to serve as Ms. Notley’s chief political lieutenant. As I noted in last year’s list, she is a contender for strongest member of cabinet, and I place her in the “future Premier material” category. Sandra Jansen (Calgary-North West): The former Progressive Conservative cabinet minister who crossed the floor to join the NDP in November 2016 could find herself with a cabinet post in 2017. 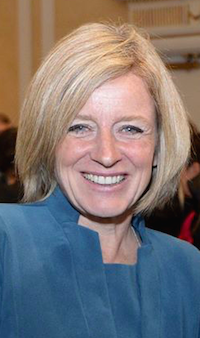 Speculation is rampant that Ms. Notley could shuffle the cabinet early next year. Appointing Ms. Jansen as Minister of Energy could help shore up NDP support in Calgary, especially with the recent approval of two oil pipelines. Or perhaps she could replace embattled Human Services Minister Irfan Sabir? 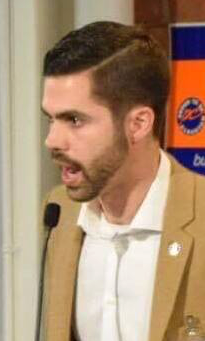 Derek Fildebrandt (Strathmore-Brooks): The outspoken attack dog of the Official Opposition is unleashed, as was demonstrated by his rant against “political correctness” at a recent event organized by Ezra Levant’s fringe advocacy group. After being muzzled by Wildrose leader Brian Jean in early 2016, Mr. Fildebrandt is already feeling empowered in 2017 by the rise of Jason Kenney in Alberta’s Conservative movement. Like Mr. Kenney, he is a former Alberta Director for the Canadian Taxpayers Federation and a rigid conservative ideologue. Expect Mr. Fildebrandt to be one of Mr. Kenney’s chief lieutenants in his bid to merge the PC Party with the Wildrose Party in 2017. Brian Jean (Fort McMurray-Conklin): What lies ahead for the leader of the Wildrose Party? After Mr. Kenney succeeds in his hostile takeover of the PC Party leadership in May 2017, Mr. Jean might be the only obstacle standing in the way of the two parties merging. He saved his party from the electoral abyss in 2015, but the well-meaning Fort McMurray politician will face significant pressure from his party and the federal Conservatives to step aside to let Mr. Kenney take over. It seems unlikely that his leadership will survive 2017. Richard Starke (Vermilion-Lloydminster): If PC Party members want to preserve their party, rallying behind the MLA for Vermilion-Lloydminster might be their only, and last, chance. Standing in opposition to Mr. Kenney’s hostile takeover, Mr. Starke appears to understand that his party’s success over the past four decades was not based in rigid ideology but in the ability to build a big tent that invited conservatives, moderates and liberals to the table. If he cannot win, then 2017 will be the final year for the PC Party in Alberta. Thomas Dang (Edmonton-South West): Alberta’s youngest MLA could become known as the Daylight Saving Time Slayer in 2017. He announced this week that he plans to introduce a private members’ bill in the spring session of Assembly that would abolish the unpopular annual time-shift. Christina Gray (Edmonton-Mill Woods): Labour Minister Christina Gray is not the most high profile cabinet minister but she is charged with steering some of the NDP government’s important policy changes. This fall she introduced reforms to Alberta’s electoral finance laws, and next year she will face the government’s much-needed review of the Workers’ Compensation Board, expected changes to the Labour Relations Code and implementation of Occupational Health & Safety rules under the controversial Bill 6 farm safety law. 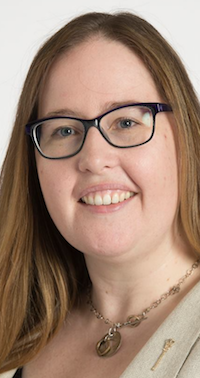 Jessica Littlewood (Fort Saskatchewan-Vegreville): She had a rough time while serving as chair of the Special Select Committee on Ethics and Accountability, but the trial by fire was more than most of her rookie MLA colleagues have experienced. Despite the committee fumble, Ms. Littlewood stands out as a well-spoken and articulate member of the NDP caucus. A junior cabinet position could be in her future. 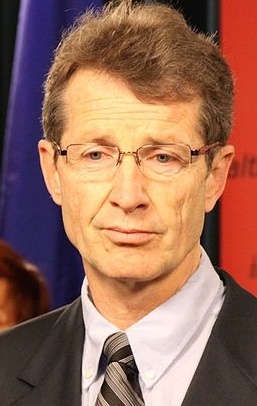 David Swann (Calgary-Mountain View): The ernest and hardworking interim leader of the Liberal Party will step down from that role in June 2017. It is not clear who will succeed Dr. Swann, who is currently Alberta’s only Liberal MLA (he is serving his fourth-term as MLA for Calgary-Mountain View), which makes it difficult to predict what his role will be in a Liberal Party led by someone from outside the Legislature. Compare this list of Alberta MLAs to watch to previous lists from 2016, 2015 and 2014. This entry was posted in Alberta Politics and tagged Alberta MLAs to Watch in 2017, Alberta NDP, Brian Jean, Calgary-North West, Christina Gray, Climate Leadership Plan, David Swann, Daylight Saving Time Slayer, Derek Fildebrandt, Edmonton-Glenora, Edmonton-Leduc, Edmonton-South West, Fort McMurray-Conklin, Fort Saskatchewan-Vegreville, Irfan Sabir, Jason Kenney, Jessica Littlewood, Joe Ceci, Lethbridge-West, Rachel Notley, Richard Starke, Sandra Jansen, Sarah Hoffman, Shannon Phillips, Strathmore-Brooks, Thomas Dang, Wildrose Party on December 16, 2016 by Dave Cournoyer. The Alberta NDP are pushing forward with their plans to reform Alberta’s outdated election finance laws. Labour Minister Christina Gray, who also serves as Minister Responsible for Democratic Renewal, introduced the NDP’s latest election finance reforms in the Legislature today in Bill 35: Fair Elections Finances Act. This follows in the footsteps of the first bill championed by Premier Rachel Notley’s NDP after the party formed government in 2015, banning corporate and union donations to political parties. The bill introduced today includes a handful of the reform ideas that were debated by the now-defunct Special Select Committee for Ethics and Accountability, which was created during the euphoria that followed the election of the NDP. The political mood soured quickly after the election and the committee quickly succumbed to a year of partisan wrangling and procedural brinksmanship until the Legislature allowed the committee to disband in September 2016. The new bill has already received the support of committee member and Liberal Party leader David Swann. Dr. Swann, who is believed to be quite sympathetic to the NDP on many issues, was quoted in a government press released praising the changes. The bill picks up where the committee left off, but does not include some of the more controversial ideas, such as per-vote financial subsidies for political parties. 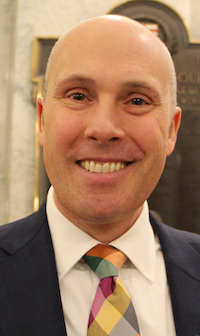 Bill 35 would lower the limit that individuals can contribute annually to political parties to $4,000, which is a positive move, and is a reform that NDP and Wildrose MLAs on the all-party committee found room to agree on. The current annual contribution limits are $15,000 outside election periods and $30,000 during election periods. The bill imposes a spending limit of $50,000 for each individual candidate’s campaigns and a $2 million limit for political parties (the Progressive Conservatives were the only party to spend more than $2 million in the last election). I am in favour of spending limits but I do believe that a $50,000 limit for constituency campaigns could be too low. I expect this could lead to some candidate campaigns spending additional funds in advance of the election being called in order to circumvent the low limit. There are currently no spending limits in Alberta and our province is currently the only province in Canada without spending limits. The lack of spending limits has led to some significant disparities in what is spent in elections campaigns. For example, Edmonton-Whitemud PC candidate Stephen Mandel‘s campaign spent $132,991 in 2015, while candidates like West Yellowhead New Democrat Eric Rosendahl spent $748. Generally, the rule is that the candidate who spends the most money is likely to win, but 2015 was an exception to that rule (Mr. Mandel was defeated and Mr. Rosendahl was elected). The NDP have allowed a handful of costs to be exempted from the limit, including travel costs, parking and gas, childcare expenses, expenses related to a candidate living with a disability, and financial audits required by law. I suspect the exemption of travel and gas costs are meant to address some concerns that MLAs on the committee raised about additional expenses incurred when campaigning in geographically large rural constituencies. This issue was raised by Wildrose MLAs on the committee who represent some of these large rural areas. The bill also proposes limiting spending by candidates running in party nomination contests, which currently does not exist in Alberta. Nomination candidates would now have to register their candidacy with Elections Alberta, which is similar to a system that already exists for federal political parties. Perhaps most controversially, Bill 35 seeks to limit the total amount of money that third-party advertisers can spend during elections campaigns. The proposed limit of $150,000, of which no more than $3,000 could used in an individual constituency, is severely limiting. The high costs associated with advertising campaigns would mean that it would be very difficult, if not impossible, for any third-party group to run an effective province-wide campaign during an election period in Alberta. The province’s original third party advertising laws were introduced in 2009 by first term Progressive Conservative MLA Rob Anderson, who later crossed the floor to the Wildrose Party in 2010 before crossing back to the PCs in 2014. Mr. Anderson is now supporting Jason Kenney‘s campaign to merge the two parties and penned an apology to Wildrose supporters on his blog. 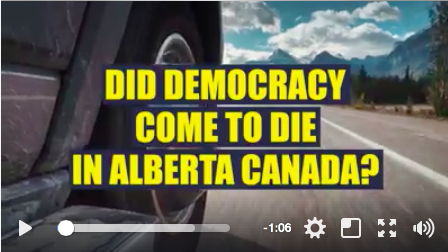 Perhaps somewhat ironically, considering the vastly different political environment in 2016, the third-party advertising laws passed by the PCs in 2009 were seen as a reaction to the Albertans for Change advertising campaign targeted then-premier Ed Stelmach. The ads, which became infamous for the spooky “Noooo Plaaan” tagline, were sponsored by a handful of Alberta labour unions. Post media columnist Graham Thomson raises an important point in his latest column. Earlier this year Wlidrose MLA Rick Strankman introduced a Private Members’ Bill calling for a blackout of government announcements during election period in order to prevent a governing party from using public funds to influence the election. The bill was introduced in the Assembly but then referred to the Special Select Committee for Ethics and Accountability, which never had the opportunity to debate it before it was disbanded. 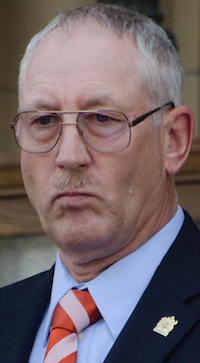 It is unclear whether Mr. Strankman’s bill will ever resurface in a future sitting. This entry was posted in Alberta Politics and tagged Alberta NDP, Bill 35: Fair Elections Finances Act, Christina Gray, David Swann, Ed Stelmach, Edmonton-Strathcona, Edmonton-Whitemud, Election campaign finance reform, Eric Rosendahl, Ethics and Accountability Committee, Graham Thomson, Rachel Notley, Rick Strankman, Rob Anderson, Stephen Mandel, West Yellowhead, Wildrose Party on November 28, 2016 by Dave Cournoyer. The Spring session of the Alberta Legislature ended yesterday after forty-days of debate. The evacuation of more than 88,000 Albertans sparked by the wildfires in Fort McMurray dominated the attention of our political leaders during this session. In response to the wildfire crisis, Premier Rachel Notley and Wildrose leader Brian Jean briefly put aside politics and demonstrated their strengths as political leaders. It was a refreshing break from the negative rhetoric and hyperbole that has come to dominate Alberta politics. The legislative session produced ejections, MLA suspensions and other intrigue but amidst the budget debates and political drama the New Democratic Party government pursued a fairly ambitious legislative agenda. Twenty-one government bill and one two private members’ bills were passed during this session. Bill 205: Pharmacy and Drug (Pharmaceutical Equipment Control) Amendment Act, a private members’ bill introduced by Calgary-West Progressive Conservative MLA Mike Ellis received unanimous support from MLAs when it was passed in the Legislature. The bill restricts ownership of pill presses in response to the Fentanyl crisis. Bill 1: Promoting Job Creation and Diversification Act introduced by Economic Development and Trade Minister Deron Bilous gave the minister new powers to create programs focused on broadening the province’s industries and businesses. “Jobs” and “diversification” were key buzzwords used by NDP cabinet ministers this spring as they face an increase in unemployment and decrease in industry investment caused by the decline of the international price of oil. Bill 4: An Act to Implement a Supreme Court Ruling Governing Essential Services introduced by Labour Minister Christina Gray lifted the ban on strikes by all public sector employees in response to a Supreme Court of Canada ruling in 2015. Bill 7: Electoral Boundaries Commission Amendment Act introduced by Justice Minister Kathleen Ganley pushed forward the timelines to redraw the electoral boundaries before the provincial election in 2019, which could have an impact on the results of that election. The timelines as they were previously legislated were askew after the Progressive Conservatives called an election one year earlier than Alberta’s fixed-election date law in 2015. The NDP missed an opportunity to improve the composition of the commissions, which will include five appointees (two appointed by the Government Caucus, two by the Official Opposition and one “neutral” chairperson chosen by the government). The NDP should have amended the legislation to create a non-partisan judicial commission similar to the ones appointed to redraw federal electoral boundaries. Introduced by Finance Minister Joe Ceci, Bill 10: Fiscal Statutes Amendment Act removed the 15 per cent debt-to-nominal-GDP cap implemented by the NDP in the fall session of 2015. This was a classic example of a government walking back on a law which they probably should not have passed in the first place. The Alberta government’s net-debt levels remain low enough that Albertans should not immediately be worried. But as our provincial credit ratings have been downgraded, it will be important for the current and future governments to implement policies that will actually address the government’s significant revenue shortfall and growing budget deficit. Bill 11: Alberta Research and Innovation Amendment Act reorganized Alberta’s four “Innovates” branded research and development agencies into one agency governed by a single board and CEO. Bill 18: An Act to Ensure Independent Environmental Monitoring dissolved the Alberta Environmental Monitoring Evaluation and Reporting Agency and brought its responsibilities into the Department of Environment and Parks. Bill 11 also established the position of Chief Scientist. 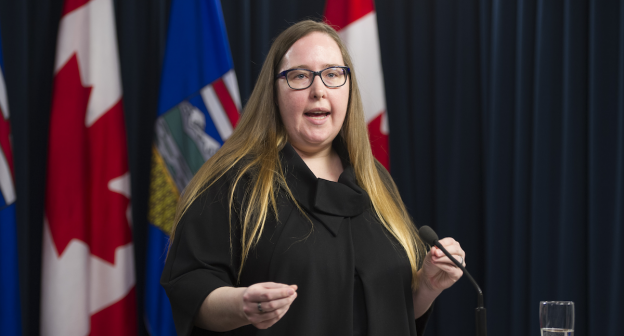 Bill 15: An Act to End Predatory Lending introduced by Service Alberta Minister Stephanie McLean targeted the payday loan industry, bringing down the amounts paid on payday loans from $23 per $100 borrowed down to $15 per $100. Ms. McLean announced that the government is working with credit unions to offer short-term loans as an alternative to predatory loans. Bill 19: Reform of Agencies, Boards and Commissions Compensation Act injected transparency into Alberta’s byzantine system of appointed agencies, boards and commissions that had become a safe-haven for PC Party loyalists, patrons and retired MLAs during the previous government’s 44 years in power. A long-time coming, Bill 21: Modernized Municipal Government Act, was in the works for years, but even so it was surprising that the NDP has been able to introduce it so early in their mandate. Bill 21 overhauls and updates sections of the province’s second largest piece of legislation. Municipal Affairs Minister Danielle Larivee, a rising-star in the NDP, will travel across the province this summer to consult with municipal leaders about the changes proposed in this bill, which only passed first reading during this session. Bill 21 sets the ground for the creation of Big City Charters in the Act’s regulations, as advocated for by Edmonton Mayor Don Iveson and Calgary Mayor Naheed Nenshi. The Charters are expected to be drafted by Spring 2017 and enacted by Summer 2017. The NDP government’s flag ship piece of legislation of spring 2016 was Bill 20: Climate Leadership Implementation Act. Part of the much-lauded Climate Leadership Plan, Bill 20 implements the Carbon levy and rebate program. In what is becoming a signature move of the NDP government, Environment and Parks Minister Shannon Phillips assembled an impressive coalition of municipal, industry and environmental leaders in support of the new law. While there are legitimate criticism of the bill, including whether the carbon levy is actually “revenue neutral,” the Wildrose Opposition failed to offer any alternative plan. The Official Opposition was knee-capped by a serious self-inflicted wound when an article signed by nine Wildrose MLAs compared carbon pricing to Holodomor, the genocide that killed an estimated 2.5–7.5 million Ukrainians in the Soviet Union from 1932 to 1933. Lac La Biche-St. Paul-Two Hills MLA Dave Hanson apologized for the comment but the nine MLAs avoided answering questions about the genocide comparison when asked by the media. Alberta’s Legislative Assembly is expected to reconvene on October 31, 2016 and sit until December 1, 2016. This entry was posted in Alberta Politics and tagged Alberta Climate Change Plan, Alberta NDP, An Act to End Predatory Lending, Big City Charters, Brian Jean, Carbon Pricing in Alberta, Christina Gray, Climate Leadership Implementation Act, Danielle Larivee, Dave Hanson, Deron Bilous, Don Iveson, Jobs and Diversification, Joe Ceci, Kathleen Ganley, Municipal Government Act, Naheed Nenshi, Rachel Notley, Shannon Phillips, Stephanie McLean, Supreme Court Ruling Governing Essential Services on June 8, 2016 by Dave Cournoyer.